"For the occidental tradition, the idea of God is intimately related to the idea of causality. That means that for any chain of facts it is reasonable to postulate an absolute beginning, which can be called 'God'. Nevertheless, if instead of explaining the universe through the principle of causality we decide to refer to the pure idea of a 'form' -as one can speak of 'rhetorical (or mathematical) forms'-, the chain ceases to be factual and becomes structural and iterative, like a grammar, and there is no longer any way to avoid the possibility of denying a 'real' beginning. The entities in the world become figures in a diagram, the ontological 'history' becomes a rhetorical 'texture' (trama), and God (written with upper initial) may always 'be moved' by some other 'god' (with lower initial), and so on, following a never ending texture 'of dust, and time, and dream and agonies'". Almeida, I. and C. Parodi (1996). "Borges and the Ontology of Tropes." 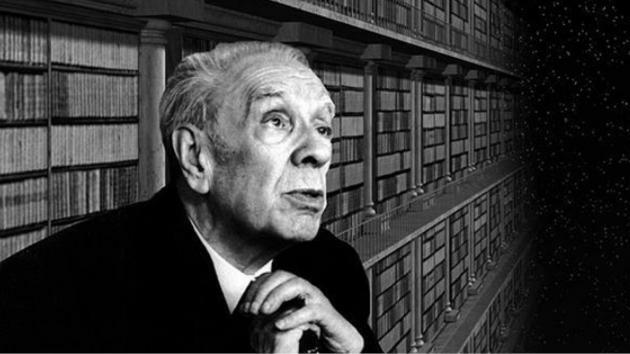 Variaciones Borges(2).